People expected the federal government shutdown to have a lot of negative effects, such as cuts to senior benefits, employee furloughs and national parks closures. But who could’ve predicted that Halloween would be taking a hit as well? According to the National Retail Federation, the shutdown and overall state of the economy will be weighing on shoppers’ minds going into the spooky season. This year, overall sales are predicted to reach $6.9 billion, dropping 13 percent from 2012. Last year, the average Halloween enthusiast spent about $80 on costumes, candy and merchandise. This year, shoppers are estimated to spend only $75 on holiday items. Halloween—which has traditionally been the kick-starter for the holiday shopping season—is the second biggest holiday for decorating and partying next to Christmas. Retail analyst Jeff Green said that disappointing back-to-school sales gave a glimpse into the less-than-stellar holiday shopping figures predicted by the NFA. About a quarter of consumers said that the state of the economy would impact their Halloween spending plans this year, according to NFA data. But with some stores stocking their shelves as early as two months in advance, there is still time to see if the predictions come true. More than one third of the 158 million Halloween consumers that will open their wallets this season started buying before Oct. 1, according to NFA. 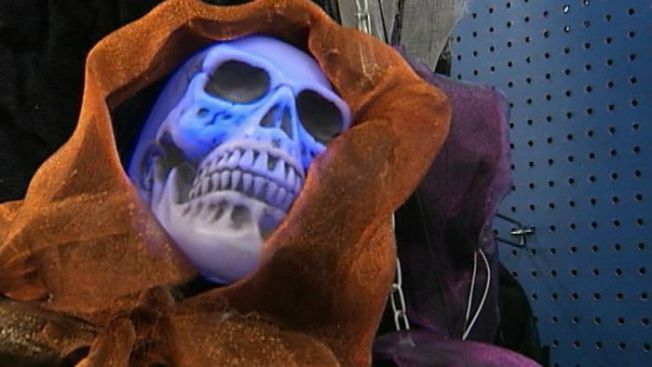 Major Halloween retailers are hoping the same. Halloween pop-up stores, which take over vacant spaces temporarily for the holiday season, are opening in record numbers this year. Spirit Halloween is opening 1,050 stores nationwide, the largest number of pop-ups in the company’s 30-year history, according to spokeswoman Lisa Barr. Amazon.com, Wal-Mart, Toys R Us still plan to boost the number of seasonal employees they bring onboard, while some companies like Target, plan on trimming their holiday hiring in anticipation of the grim sales. While predictions vary on whether the government shutdown will truly put a damper on this holiday season, the reality is that most individual retailers rely on holiday shoppers for about 40 percent of their annual revenue. Overall, holiday sales account for 20 percent of the entire retail industry’s income. Even smaller business owners are crossing their fingers and keeping a close eye on the numbers. Tom Ritchie, owner of a local Halloween and party supply chain in Port City, Florida, about 100 miles south of Tampa, is optimistic that sales won’t dwindle. “Halloween is on a Thursday night this year, which is the second best day behind a weekend night,” Ritchie said.